It all started with Dior Addict Lipstick Dior Kiss. I can tell you right off the bat I am not so crazy about the color itself, but it didn't stop me from collecting other variations from Dior Addict range. A charming blogofriend once said Dior Addict lippies are like Pokemons. Let's just have a moment to admire the packaging. Dior Addict lipstick is a "hydrating lip color" that delivers shine and moisture with sheer to medium coverage. I didn't really think much when I picked "Dior Kiss". The description says "Sheer Dark Pink". 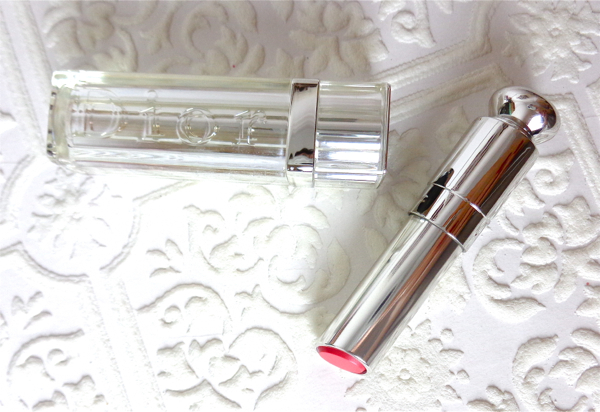 I like pink lipsticks and what could be more perfect than "Dior Kiss" if you're buying a Dior lipstick? 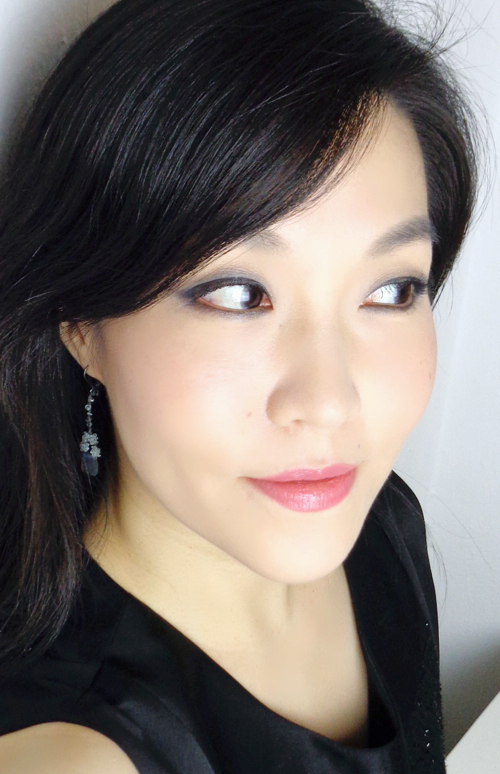 To me, Dior Kiss is a medium pink with coral undertone. In all honesty, this color is a bit boring. However, it is dark enough to show up on any complexion and perfectly neutral with creamy finish, which makes it one of those "universally flattering" shades. 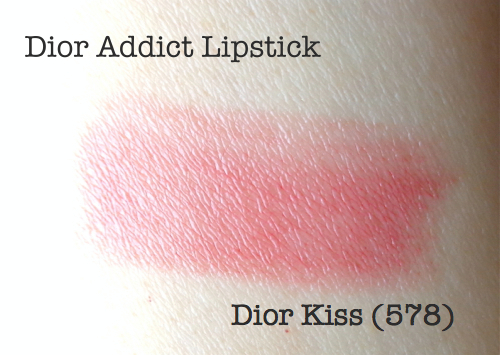 Dior Kiss shows up mainly pink on me. The color builds up easily with another coat and it seems to look warmer that way. 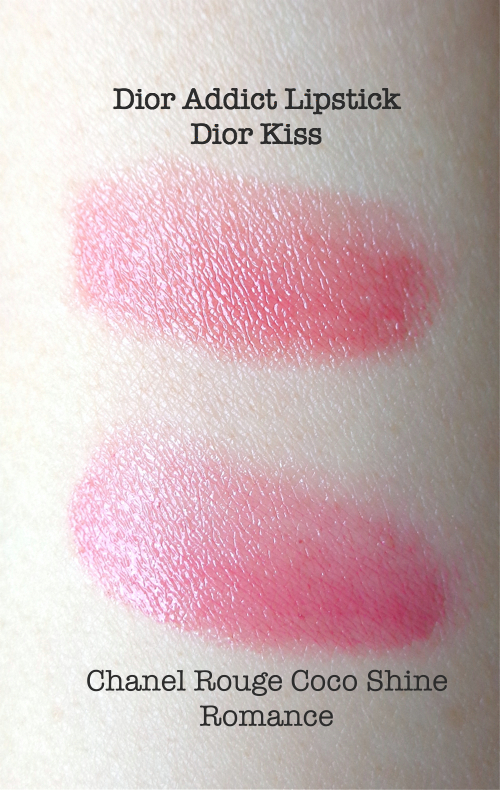 I initially thought Dior Kiss was identical to Chanel Rouge Coco Shine Romance, but Dior Kiss is much warmer. The consistency and the color payoffs are quite similar although I prefer Dior Addict's formulation as it keeps my lips hydrated longer. Interesting that I keep wearing Dior Kiss despite of my lack of enthusiasm for the color. It is because I am totally won over by the formulation which seems to be so perfectly cut out for what I need in lipsticks. The color is sheer yet vivid and it is quite long lasting for its kind. 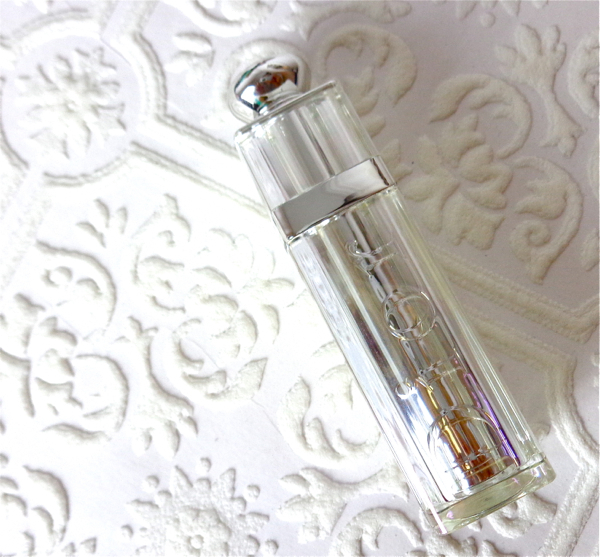 The lipstick feels weightless and silky on lips plus it keeps my lips moisturized. The price is acceptable for a higher-end. The classic Dior lipsticks I remember were in the angled blue tubes and scented with something heavy, so eventually I took a years of break although there were some absolutely beautiful shades I enjoyed in the past. Have you tried Dior Addict lippie range? What formulation is your favorite? Gorgeous on you! I apparently have this one too LOl! I found it hiding in my lipsticks! I remember loving it back then, but forgot about it when I dyed my hair red, but we are reunited now! Can't go wrong with Dior lippies and pink lips suit you so much! Black Tie is one of my favourite shades. Even though it looks dark, it can also be sheered out. Love my Dior lipsticks! They are like Pokemon. Just try to stop. I have a mini version of this! I agree - the color doesn't seem showstopping, but it's easy to wear and it looks so lovely on! Can't go wrong with Dior lipsticks, Lily's right! Oh no, this ain't boring at all! In fact, now I want it! I think my favorite is Dior Addict Extreme, but I do own some Addicts that are beautifully glossy and so, so easy to wear! This color will suit you beautifully, Sunny! I have the Dior Addict Glow and love it. Just the cute packaging is to die for. 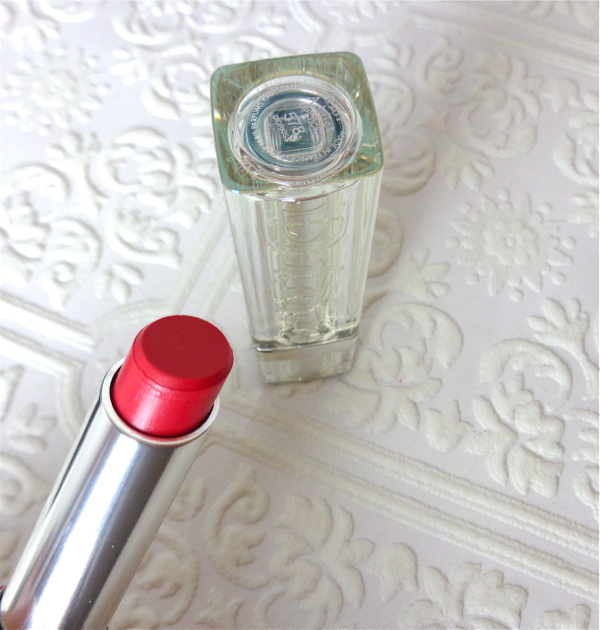 Dior kiss looks pretty red in the tube but looks pink on your lips. I really enjoy the moisturizing formula and can skip a lip balm afterwards. I love the Lip Glow, too! 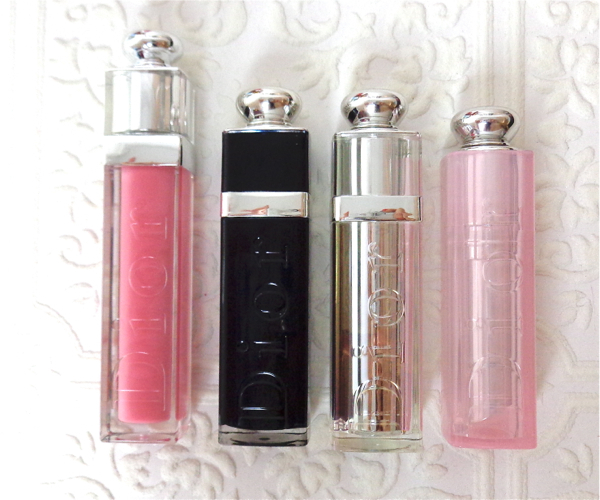 Honestly, it is very hard to pick a favorite from Dior Addict! 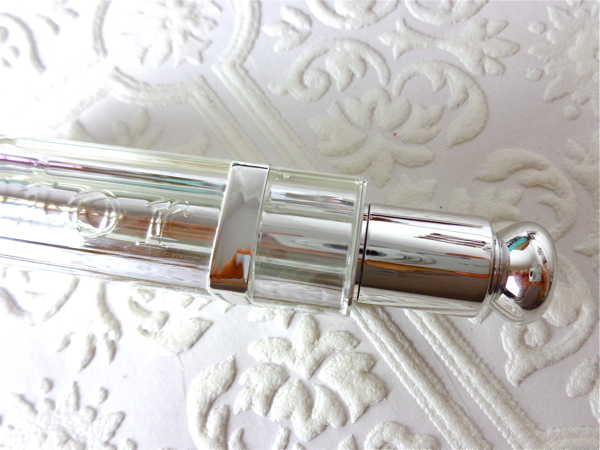 I am huge fan of the Dior addict lip glow products. I recently bought the coral lip glow for spring and I think it works better with my skin tone than the original pink. I also convinced myself that I needed the "Dormeuse - creamy pink" gloss and I love it! Dior's glosses are my favorite because they aren't sticky like most glosses. I just reviewed on Dormuese! It is so pretty, isn't it? Beautiful pinky coral color. Very pretty on your lips! i feel the same about the color in Millie. i'm so-so about the shade. its a good berry with shimmer but i dont know...nothing too special yet i keep coming back to it. i think its the formula honestly. Oh, I considered Millie as well. It is a very pretty mauve, and I love mauve lippies! Gotta catch them all! i love the pinkiness of Kiss. So pretty! Lol at the pokemon reference - I want to collect them all too!! Diorkiss is a pretty shade, nothing out of the ordinary, but pretty nonetheless. Loving the look, sultry smoke wears amazing on you! Thank you! I like wearing grey or purple with coral-y lip colors. Sultry Smoke is one of the few matte shades that work great on me. Love it! And your little collection there is lovely! I really do mean to try more of their sheer lipsticks and balms soon, I've only ever tried their addict lipglosses and do love them! 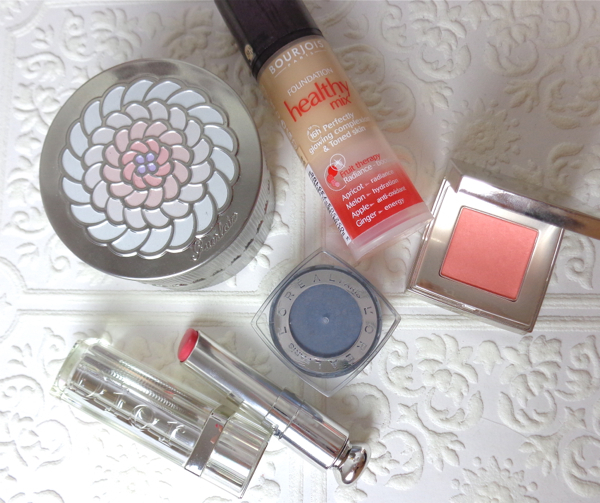 I too am a fan of sheer colors, its easy to wear and tend to be very consistent in texture! The problem is that little collection is going to be bigger soon. I'm looking forward to exploring different colors with different textures. Maybe next time I will try something with pretty shimmer. Wow this color looks more subtle like on pan, is very pretty the color. The packaging look beautiful, hanks for your review Lena! Yes, the color appears quite sheer once applied but also easily builds up. Well, Ms. Moss has that kind of powder. LoL. Check this range out if you like sheer lipstick. This and Shu Uemura are the best lipstick formulations that I experience lately.